Following a conference at the Institute of Contemporary Development, First Deputy Prime Minister Igor Shuvalov told reporters that by June 2009 government officials serving on the boards of state-controlled companies would be replaced by independent directors. The state will retain only one position on the boards, he explained, noting that this process has already begun at several state companies. Evgeny Gontmakher, INSOR Management Board Member and Director for Social-Economic Programs at the Institute of Contemporary Development, led an analytical discussion at the Institute on the middle class’s competition and representation strategy. The discussion was a continuation of the Institute’s ongoing research into Russia’s middle class. Danny Leipziger, Vice President of the World Bank, stopped by for meeting with experts at the Institute of Contemporary Development. The discussion focused on Mr. Leipziger's "Growth Report: Strategies for Sustained Growth and Inclusive Development". As Russia’s economy continues to expand at a rapid rate and the global financial market diversifies away from more developed markets, many experts see Russia as a potential global financial center. This was the topic of conversation at a roundtable discussion at the Institute of Contemporary Development, where government officials, business representatives and academic experts shared their views on Russia’s prospects in this role. Over 30 political experts and party representatives participated in a roundtable discussion at the Institute of Contemporary Development, where the topic of conversation was a report on the development of the Russian model of democracy. The report was commissioned by INSOR and prepared by the Center for Political Technology. A wide range of experts and government officials gathered at the Institute of Modern Development (INSOR) for a roundtable on "Fighting Corruption: Building a Systematic Approach". The discussion was a continuation of the preparation of a national plan for fighting corruption, which was presented to President Dmitry Medvedev on June 25. INSOR hosted a roundtable looking at ways to increase and enforce state management of intellectual property rights and their uses. This discussion was led by State Duma Deputy Ilya Ponomarev. The forum’s attendees included many influential Russian business leaders whose collaboration will help the state fully address this pressing issue. 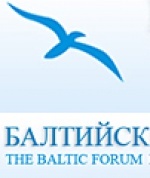 The Institute of Contemporary Development (INSOR) signed an agreement today with the Baltic Forum that establishes the Center for Baltic Studies. The new center will focus on studying relations between Russia and the Baltic States for the purpose of providing recommendations to the governments of the respective countries on how to improve relations. Experts from The Institute of Contemporary Development (INSOR) are accustomed to tackling Russia’s largest problems. Most recently they have taken on the task of ensuring the welfare of Russia’s pension-aged population by looking at how to reform the pension system. INSOR Chairman of the Board Igor Yurgens hosted a discussion forum on the topic. During his visit to Russia, Robert Zoellick visited the Institute of Contemporary Development (INSOR) and participated in a discussion on topical economic issues facing Russia in the near and long term. The discussion, lead by INSOR Chairman Igor Yurgens, touched on such issues as general economic reforms, the financial stability of the Russian economy, and the formation of the middle class in Russia, among others.